Spring rolls, the undesirable, unasked for extra that gets in the way when you’re reaching into your take out bag to retrieve the main item, does anyone actually eat them? Between the tendency of take out establishments to stuff leftover cabbage and who knows what other leftovers into spring rolls and the predictability of finding one in your take out bag every single time, it has to be the most tiresome finger food that is still churned out in such copious quantities. Despite all the evidence to the contrary I continue to love and believe in spring rolls. Like UFO enthusiasts or Yeti trackers hoping for that sighting I kept looking for that “tasting” that would validate my faith. I religiously took a bite of every spring roll that crossed my path, sometimes I did so with a foot on the trash can pedal. I usually got a mouthful of stale or just insipid cabbage or at least what I thought was cabbage and managed to be disappointed every time. The husband having grown a little weary of my clucking over spring rolls not being spring rolls any more wondered if I couldn’t just make my own if I like them so much. 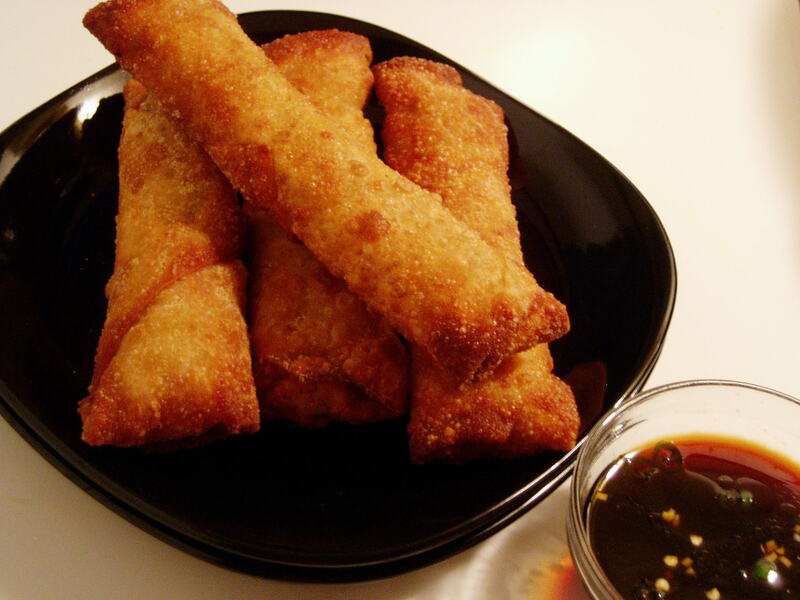 Spring rolls are fresh, crunchy, savory and nowhere near as greasy when they’re home-made.